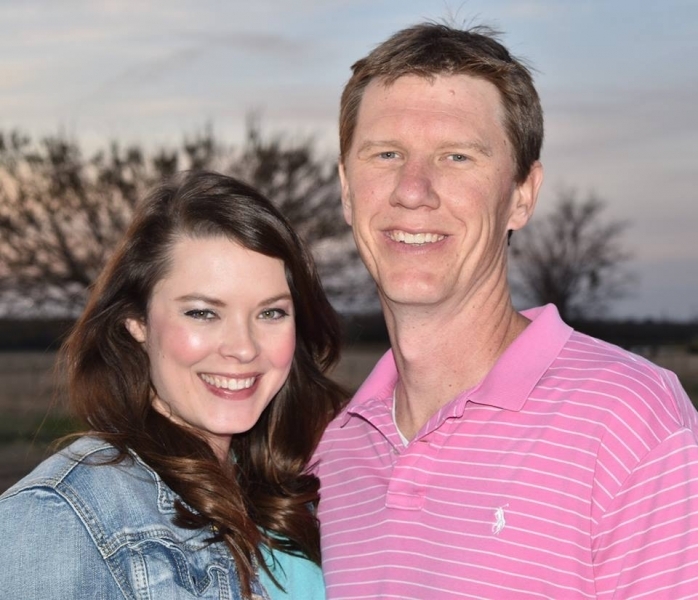 Adoption Profile - Hopeful adoptive parents, Lindsay and Levi, wish to adopt a baby. Hi, we are Levi and Lindsay. There is nothing we want more than to welcome another child into our family. We look forward to bringing a little one into our home to be loved and cherished from the moment they arrive. Our daughter has wanted a sibling for so long, to have someone to have adventures with and have a life long bond from the start! Thank you for getting to know us a little, we would love to talk with you more and learn more about your journey. Blessings!!! We have been married for 10 years and met in our hometown 11 years ago and knew it was meant to be. We have been blessed with amazing family and friends that love and support us and love and support our daughter! We love spending quality time together and going to the movies, bowling, playing arcade games, going to the zoo, glamorous camping, traveling, and playing board games! We love all things Disney! We look forward to sharing Walt Disney world with both of our children when our sweet baby comes home! Right now you are possibly facing the hardest decision of your life. We hope that when you read this letter you know what a brave and compassionate woman we believe you are. From the moment we meet our child’s birth mother, our hope is to have an everlasting bond filled with gratitude and love. We have known from the beginning of our relationship that adoption was our way to have a family. We are unable to have biological children and knew we were meant to adopt. God had a plan for us; we are trusting in Him to lead us on our journey. We have so much excitement and joy in our hearts at the thought of adopting again, and we cannot wait to add another child to our family. The adoption of our daughter was a gift that we have treasured from the moment she was born. Rowyn loves to dance and do gymnastics, she loves to bake and use her vivid imagination during arts and crafts. Rowyn is so excited to have a baby brother or sister, asking daily when they will arrive. She is going to make a wonderful big sister who looks forward to helping mommy and daddy. Watching our children grow and form a beautiful bond together will be an amazing experience. We have been blessed with wonderful family and friends that are excited about our adoption journey. Family is the most important thing to both of us; we treasure every moment spent together. We are fortunate to have Lindsay’s parents living down the street and Levi’s parents live just 4 miles down the road. They are thrilled to have another grandchild. This child will be loved and adored from the moment they arrive. We promise to teach our children to be selfless, loving, responsible, and confident. We can’t wait to watch our children grow and enjoy life to the fullest. We want to ensure our children have everything they need to become well-balanced adults. We are blessed to have Levi work for his family, allowing flexibility when needed. Lindsay stays home with our child to ensure she doesn’t miss anything. There is nothing in this world that Lindsay wanted more than to be a mother. She will cherish every moment spent with our children. We both look forward to lounging at Levi’s parents pool during the summer, taking road trips to visit Lindsay’s family in Kansas, going camping, enjoying the outdoors, going to the zoo, watching movies, playing board games, and spending as much of our free time together as a family. These activities will make memories for a lifetime full of love, laughter, and fun! Our home is filled with our three yorkies; it will be fun to watch our children grow up with a few furry siblings. The nursery is ready for a sweet baby and is decorated with grey, turquoise, and navy. Lindsay cannot wait to decorate for a baby girl or boy! Our beautiful neighborhood is surrounded by farmland, where there are horses, donkeys, chickens, llamas, and cows. We live on one acre with lots of room to play and explore. Thank you for taking the time to read our letter. We cannot imagine a more selfless act than what you are considering for your child. Thank you for choosing life and thinking about an adoption plan. We have been praying for quite some time that God would lead us to the right situation to continue to grow our family. We will continue to pray every day for peace in your decision.